You are here: Home › Blogs › Blog › Photo Blog › Featured › Magic Moment › July Research blog…. 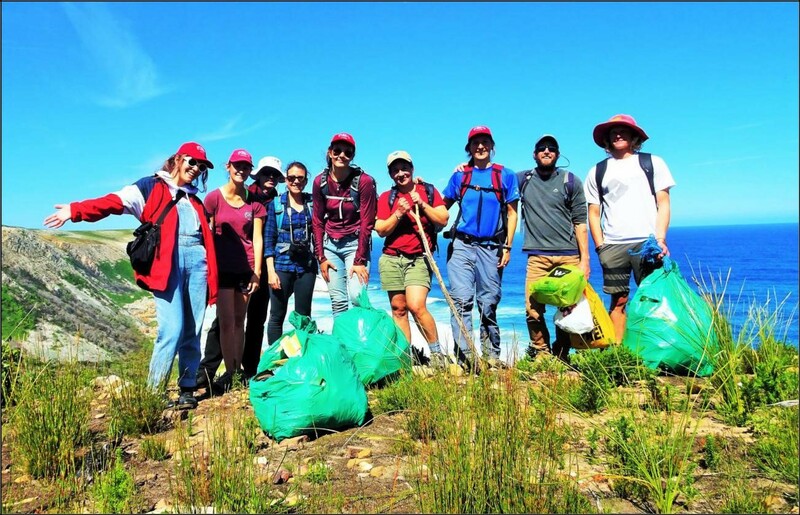 As per usual the first project to report on is the elasmobranch egg case project. It is now 6 months into the project and to date we have collected 2495 egg cases of 6 species! So far we have yet to see any clear patterns emerging with regards to seasonal differences in species and numbers collected. We are, however, working on some basic graphs and distributional maps so stay tuned! Since February we have had 11 bird ringing sessions during which we have ringed 157 birds. 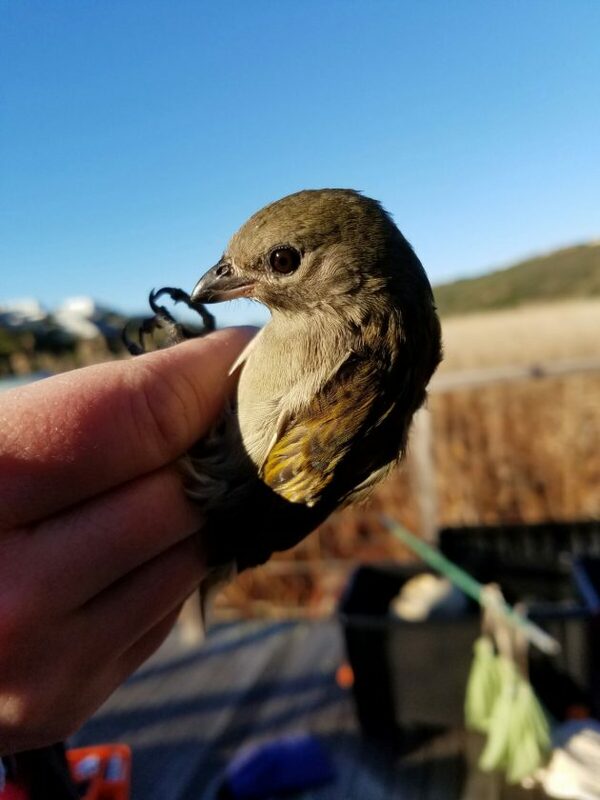 Of interest this month are two Cape Weavers and a Sombre Greenbul which were recorded as retraps at our boardwalk site. One of the weavers was ringed by Minke on 26th May 2016, while the other was ringed by Mark Brown of Nature’s Valley Trust (www.naturesvalleytrust.co.za) on the 6th March 2015. The Sombre Greenbul was originally ringed on the 26th May 2016. It is interesting to see that these birds are still in the area! The highlight species for this month was the Lesser Honeyguide, what large nostrils this species has! Our miniSASS (www.minisass.org) sites have really expanded this month with two new sites being added! 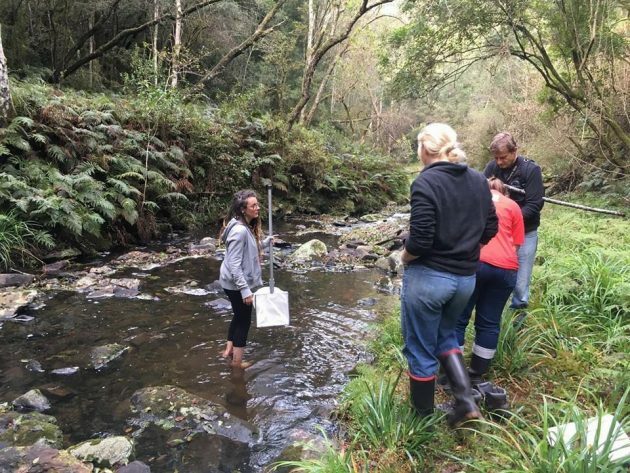 The first is another site in Wittedrift along the Bitou River, many thanks to Michael for allowing us access through his property and to the river – what a beautiful view in your backyard! 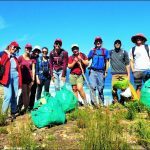 The other site requires a bit more effort to reach, involving a steep hike down to the Buffels River in Brackenburn Private Nature Reserve – thanks to the Brackenburn CREW (www.brackenburncrew.org.za) for the guided hike in a spectacular area. We now have four sites to rotate through each month! We have also been collecting Humpback Whale fluke photos for Summer Newton, on the few boats we have managed to get on despite the bad weather and rough sea conditions. 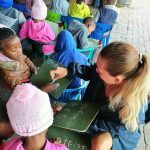 Summer is working on her MSc project done through Nelson Mandela Metropolitan University supervised by Prof. Amanda Lombard and co-supervised by Ken Findlay from the Cape Peninsula University of Technology. 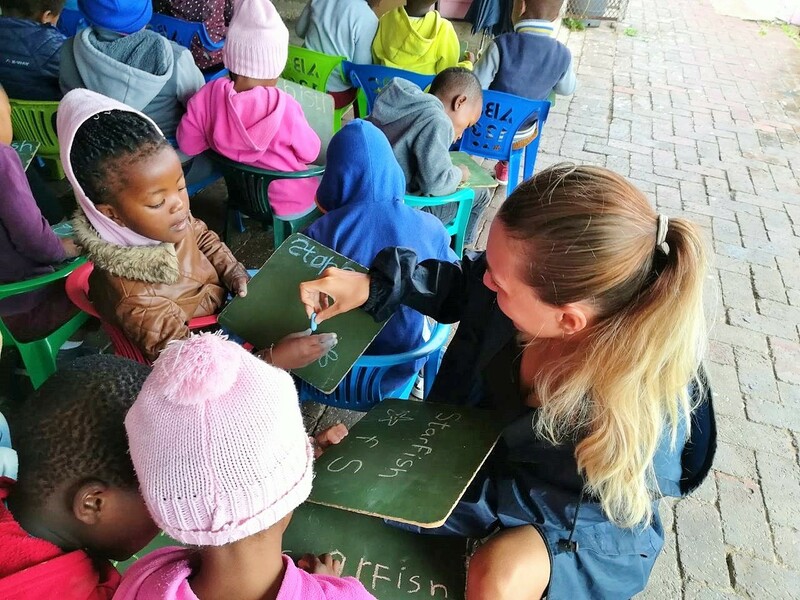 Her current working title for her MSc is “The establishment of an east coast humpback whale photo identification catalogue to inform marine spatial planning in South Africa”. We are so pleased to be able to contribute in this small way to some valuable research being done! 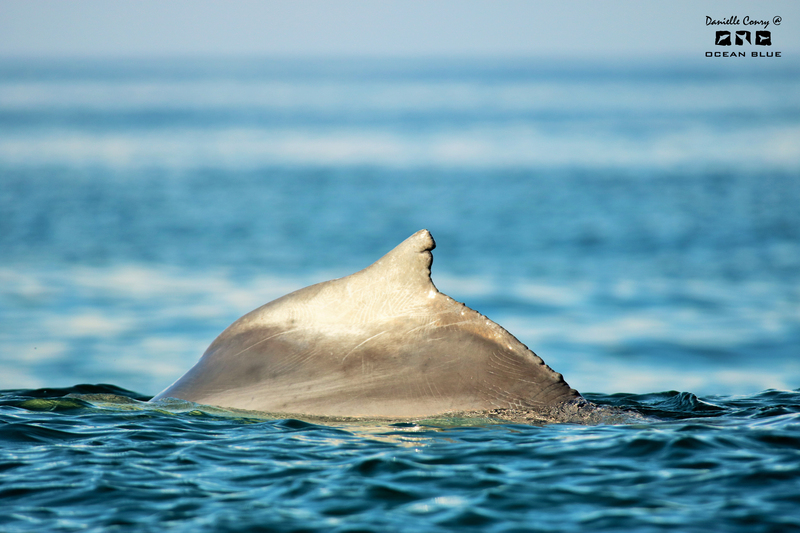 As always, we are also collecting fin profile photos to add to our catalogues. Just a reminder for everyone to record and report Great White Shark sightings. 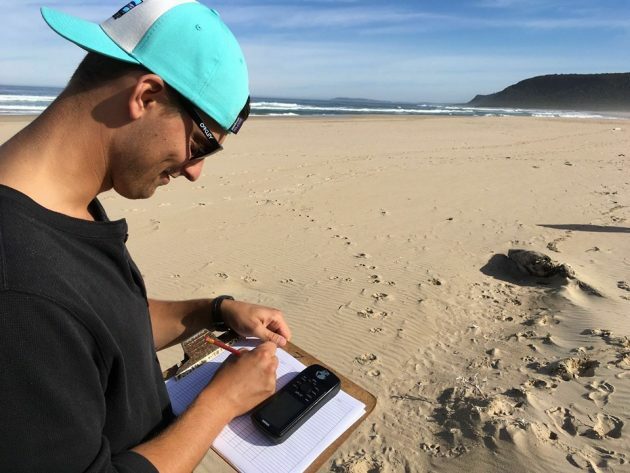 The shark spotting project relies heavily on the contribution of everyone in Plettenberg Bay, from residents to holiday makers, recording and reporting any shark sightings. 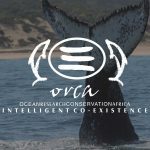 If you would like to be involved in this project and have shark sightings to report, please send them to bookings@orcafoundation.com or to +27 (0) 81 724 5366. 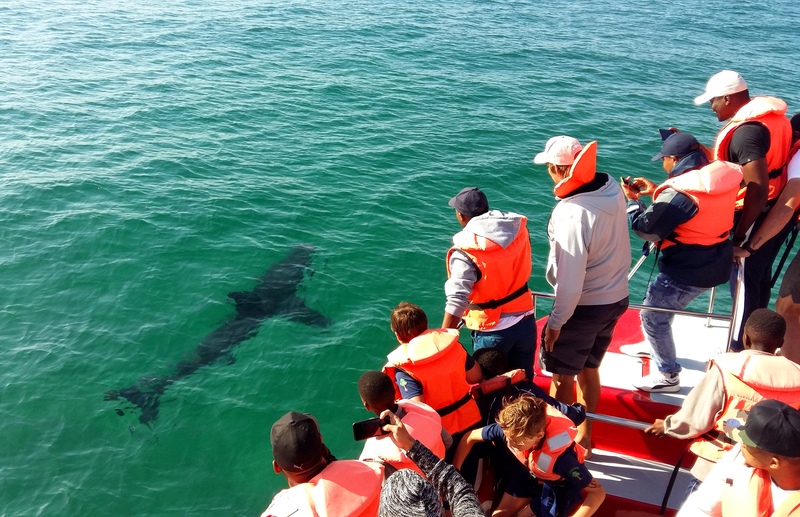 Please include date, time, as accurate a location as you can give, the number of sharks and their estimated size, and if you have information such as water temperature and water depth please include it as well. Stay warm! 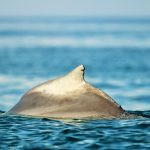 And keep your eyes open for the variety of magnificent creatures currently in our bay. A lovely winters day surveying in Natures Valley! What a beautiful MiniSASS site? 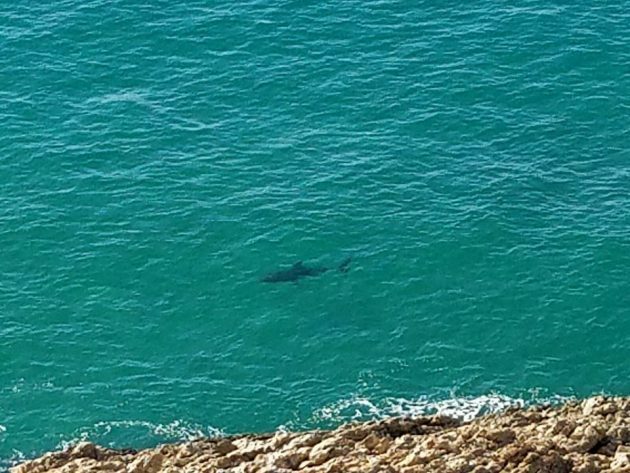 Remember to report you Great White Sightings. Blacktail – abundant, ubiquitous, and hermaphroditic!